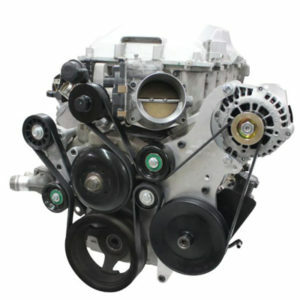 All the brackets in this category are truck spacing alternator, power steering, and air conditioner brackets. 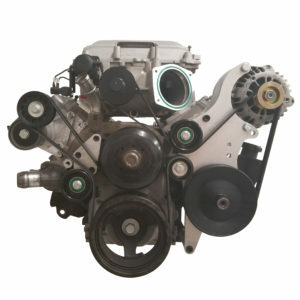 You will need to use a truck spacing harmonic balancer, and water pump to go along with all the kits below. 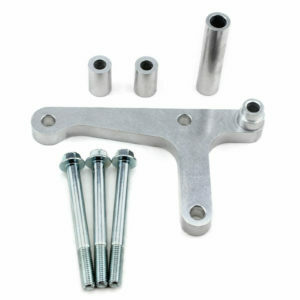 We machine all of our truck spacing brackets from Billet aluminum for the best fit form and function. 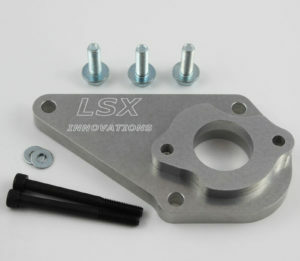 We are constantly adding new LS truck brackets our product line up. 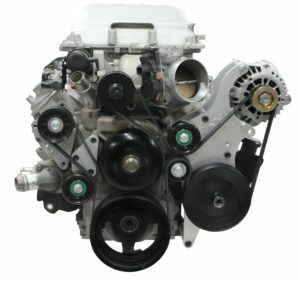 The truck spacing is the longest of the 3 different belt spacing’s for LS engines. 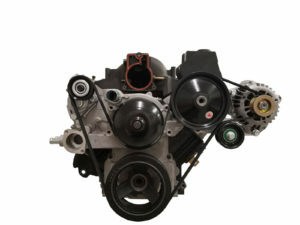 This spacing is also the same as the 2010+ LS3 Camaro spacing. 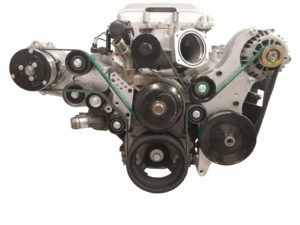 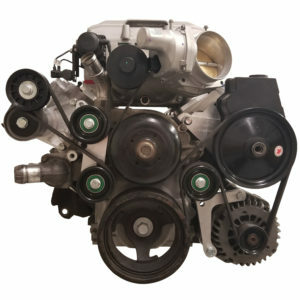 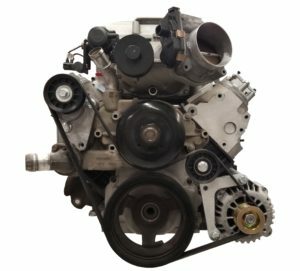 This spacing is popular for LSA swaps because is allows the use of 6 rib truck, 2010+ LS3 Camaro, and LS1 Camaro accessories with the LSA supercharger. 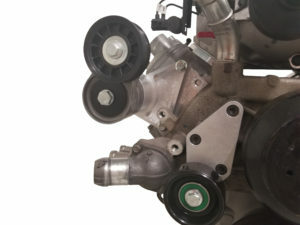 In order to use the LSA supercharger with the LS1 Camaro acessories you must buy our truck spacing kit for Camaro accessories to space them out far enough to line up with the LSA supercharger. 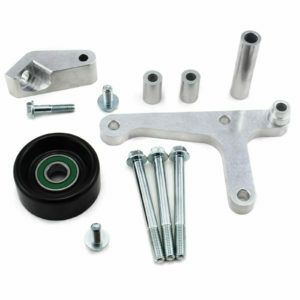 We offer a wide variety of LS alternator bracket and LS power steering brackets. 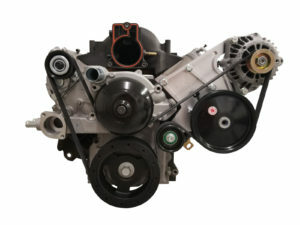 You will find several combinations of LS brackets in this section as well as the other belt spacing sections (camaro/fbody and corvette). 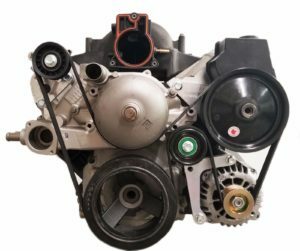 All of our LS alternator, power steering and AC bracket are CNC machined to provide the best fitting and highest quality LS brackets you will find. 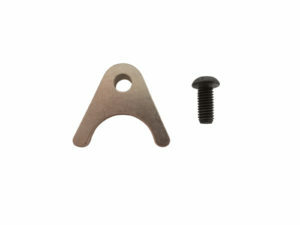 We machine all of our brackets right here in the USA and take pride in our products. 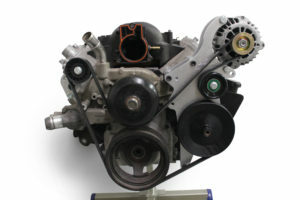 LS Truck Alternator and Power Steering Bracket.